A new study from University of Michigan finds a change in diet, can help people treat Irritable Bowel Syndrome. It's based on a low FODMAP diet. FODMAP, a frequently recommended diet, which stands for Fermentable Oligo-Di-Monosaccharides and Polyols. FODMAPS are different types of sugar and fiber that ferment and cause G.I. symptoms in some people. The diet excludes many compounds found in wheat, some fruits and vegetables, garlic, onions and sugar substitutes. 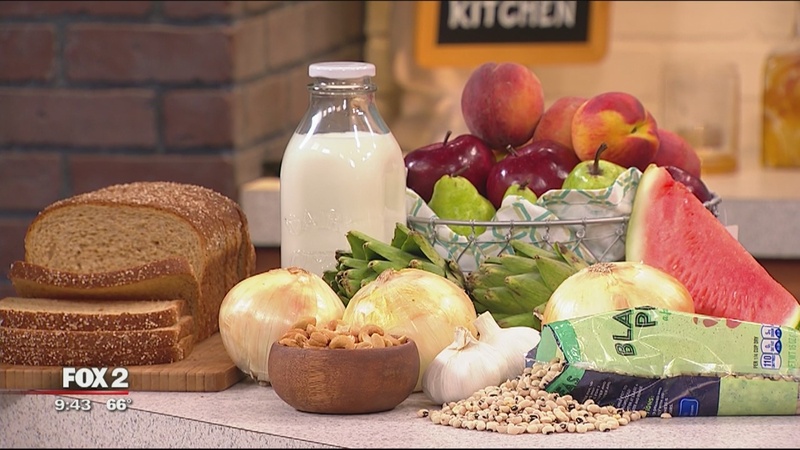 Wednesday, Gastroenterologist, Dr. William Chey and registered dietitian Lauren Van Dam from the University of Michigan hospital explain how the FODMAP diet works and what it includes. In the study, the largest of its kind, registered dietitians monitored the progress of more than 90 I.B.S. patients for six weeks. Roughly half followed a prescribed low FODMAP diet, and half were a control group that cut down on large meals and known irritants such as caffeine and alcohol. More than 50% of the patients on the low FODMAP diet had major improvement of their abdominal pain, compared with 20%of the control group.